I loved practically everything about this city. Unfortunately for Joe, he fell victim to my stomach virus on our last night in Valencia so he wasn't in his prime while we explored Granada. Even so, we both couldn't help but revel in it's beauty. 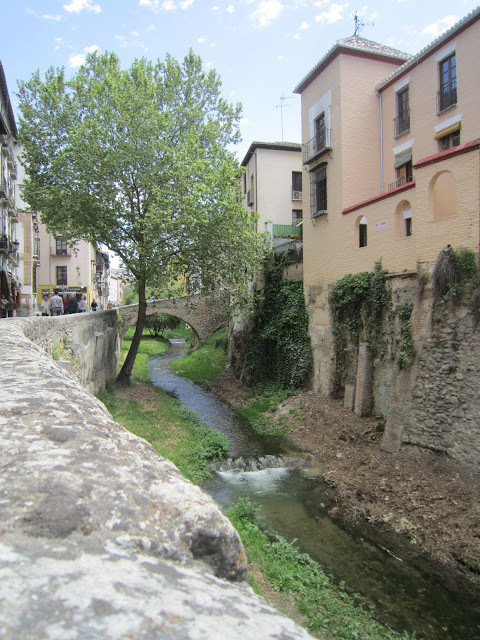 Granada is nestled in the Sierra Nevada mountains and is home to the Alhambra (more on that in another post.) Perhaps my most favorite part of this city is the multitude of cultural influences evident throughout the city. The centre of town is typically Spanish with it's tiny, cobble stone streets, shops, tapas bars and cathedrals. 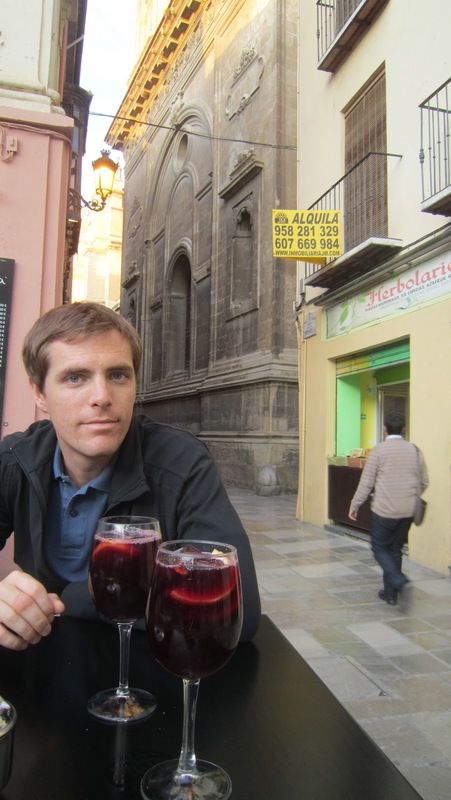 Again there were endless roads to follow and innumerable places to stop for Sangria. My favourite party of the city had to be the Albayzin. It was literally like entering another country. 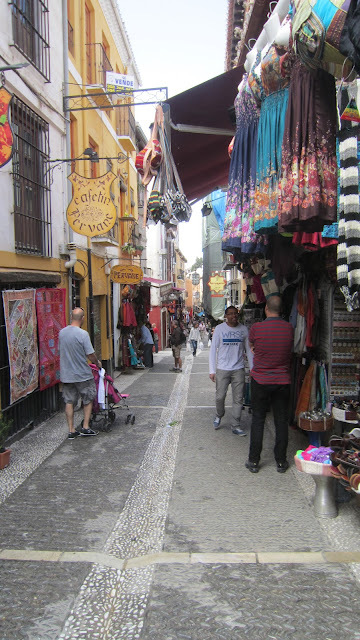 Steep streets winding up the hills, stark white buildings of Moorish influence & street markets. In the end, Granada turned out to be, without a doubt, my favourite Spanish city that we visited. I loved the history (from Romans, to Moors, to Jewish, to Arab & Christian, it felt like everyone had a part in making this city.) And I can't forget the Alhambra - one of the most breathtaking sites I've ever seen. -We stayed at the Hotel NH Victoria and we were really happy with it. It was one of the more modern hotels we found in Spain and it was right downtown amongst the shopping & restaurants. We found it fairly easy to navigate the city from here. -Do not attempt to drive in Granada if you can help it. The tiny, one way roads were really difficult to navigate not to mention, a few of the main roads have been converted into bus & taxi only. -We heard about a Tapas Tour and we really wish we would have done it. (Our stomachs just weren't ready for it.) We found it quite difficult to find the 'good tapas' and not the stuff aimed at tourists. I think this would have helped. -Be prepared, there was a lot less English to be spoken in Granada compared to Barcelona & Valencia. i wan to go there i want to go there! and poor you guys... spain was not very nice to you with the stomach virus. We are for the second time in Seville. The last time we've been here was part of a longer trip with different locations, including Granada. Your lovely post brought those memories back. Beautiful city, great for you to be in such a lovely location. Wow! It looks gorgeous! Your life is so, so fabulous. What does your husband do, to have you moving all over the world?